Bob Dole: Who Has the Chops to Handle Congress -Trump or Clinton? Bob Dole: Who has the chops to handle Congress - Trump or Clinton? Fmr. Presidential Nominee Bob Dole discusses how Clinton and Trump may deal with Congress. With all the focus and fanfare around the race for the White House, one key point is getting a bit overshadowed; the U.S. Congress and the power it holds. Our next president has to be able to work with Congress or nothing will get done. The Republicans currently control both the House and the Senate while President Obama, a Democrat, sits in the White House. The balance of power may all change come November. 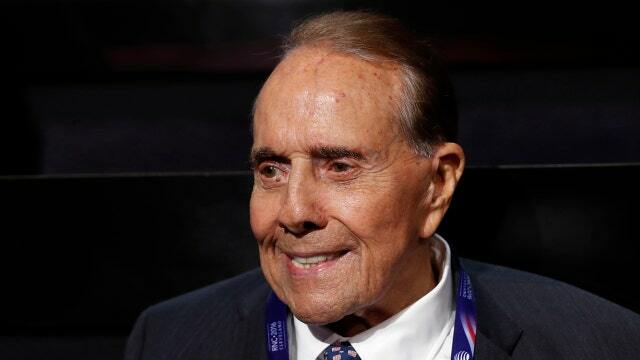 FOXBusiness.com talked with former Republican presidential nominee Bob Dole at the Republican National Convention in Cleveland and asked him how Donald Trump and Hillary Clinton would deal with Congress if elected. “She’ll be able to deal with the Democrats easily. I don’t see much support but maybe she can develop it on the Republican side,” said Dole. As for her ability to be president, Dole is less optimistic, saying Hillary has an issue with “trustworthiness”. Dole, who at 92, reminded us that he knows Congress pretty well, especially since he holds the record as the longest serving Republican leader. He served as a United States Senator from Kansas from 1969-1996, with part of that tenure as United States Senate Majority Leader, as stated in his official bio. Dole did admit Trump was pretty harsh on the campaign trail in competing against his rivals. Trump famously dubbed Jeb Bush “low energy” and Senator Marco Rubio as “Little Marco”. As we move closer to November, both Hillary Clinton and Donald Trump as well as their vice presidential candidates, will need to demonstrate they can cross the aisle to make a deal that will benefit the people of the United States.